So much hidden in the past. Horizon Zero Dawn is the latest game from Guerrilla Games (Killzone series). 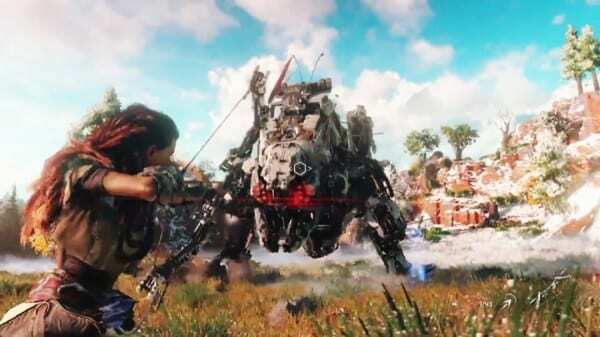 It follows the adventures of Aloy, a tribal huntress in a world full of ancient relics and terrifying, mechanical beasts. While on the surface it may seem to just be a lot of glitz and robot fighting, there’s a lot of depth to the narrative that players will find themselves in. There’re a lot of moving pieces to the story, so to help everyone sort it out, we’ve broken down the story into all of its important bits to keep it easy to follow. In order to focus on the core plot, we won’t be diving into some of the side content. While those missions do give some insight into the characters and world, they aren’t entirely necessary for understanding the secrets of Horizon Zero Dawn. So, if you see a mission you played through missing, it wasn’t necessary for the explanation. Needless to say, there will be a ton of heavy spoilers ahead. If you don’t want to be spoiled, then turn back now.